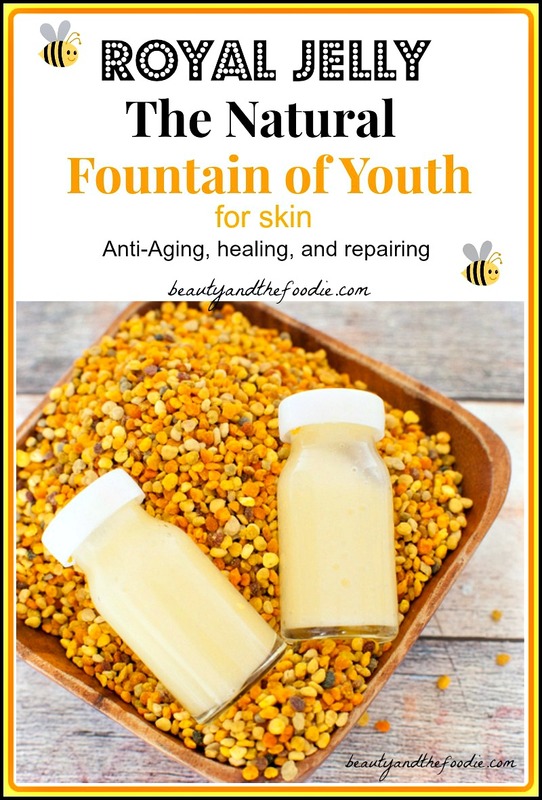 Royal Jelly: The Fountain of Youth for Skin and Health. Royal jelly and its amazing skin and health benefits. My very favorite anti-aging, moisturizing, healing, nutrient for the skin is Royal Jelly. The miraculous benefits of royal jelly have been used by many cultures for years. Its skin healing powers have been used for many different ailments. I am completely amazed at how much royal jelly has improved my skin. 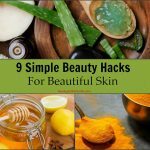 This is why there are many expensive skin care lines that include royal jelly in their ingredients and also why people take royal jelly supplements. This is the Royal Jelly Supplement that I use. Royal Jelly is a honey bee secretion that is used to nourish larvae and the adult queen bees. cholesterol-lowering, anti-inflammatory, wound healing, antibiotic components, and antibacterial agents. It is a great, nutrient-dense supplement to take as well as a healing, anti-aging, skin cream. I have sensitive, dry, but acne and rash prone skin and my royal jelly moisturizer has really helped with all my skin issues. The Royal Jelly creams I love are these 2: Healing Royal Jelly Moisturizer or Royal Jelly All Natural Anti-Aging Moisturizer. 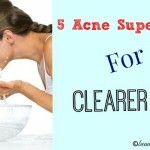 It has even diminished fine lines and healed sores, cuts, and blemishes. Contains complex B vitamins, amino acids, fatty acids, minerals, and enzymes. I love royal jelly for skin! I use YS Eco Bee Farms Royal Jelly in a Raw honey suspension and combine this with full fat organic yogurt and tumeric powder for a facial mask that is safe to do daily since it isn’t harsh or drying… my skin is so much brighter and I’ve been doing for over a month. wow! the content is so useful, thak you for providing such a precious knowledge about the jafra royal jelly. I have lots of skin damage from acne and the sun that I want to reverse. I’m going to start using royal jelly but I’m wondering if it would be better to take capsules or to use the royal jelly skin products? Or would a combination of both be beneficial? I would think it would be good to use both. I’ve seen my Mom use Royal Jelly and she said it is for her high blood pressure and diabetes. I’ve researched on this product, and it does have a lot of benefits to it but can also heighten the risk of asthma and other allergies. I am planning to include Royal Jelly to my health supplements, but I’ll ask for a skin test first to make sure I am not allergic to this. Thanks for sharing! Adnan, For a skin test or “patch test”: I put a small amount or the product in a small area (like behind my earlobe). Then in 72 hours see if there is a reaction (rash, itching, redness, burning,etc.). In California you can find a lot of vendors for royal jelly. One I use is The Honey Ladies. I am in Nigeria and need d Royal jelly pure paste form not mixed cream or supplements form and also pollens in d grainy for .cant find it here and wonder if I can buy online to ship to Nigeria through Dhl or FedEx can anybody help me with a site I can make purchase. Jafra has large line of Royal Jelly skincare products and supplements too. I love them so much, I became a consultant. Monica, that is where I first learned of royal jelly. My Mom went to a Jafra party at our neighbors house in the late 70’s. I have not seen Jafra products in years. I remember how awesome they were. Ive been using Jafra royal jelly for years now. I like it. How do you use it? do you break open the capsule and apply directly to the skin? Dawn, the capsules are for swallowing as a supplement for healthly skin. 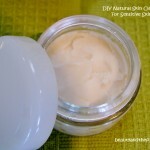 The Royal Bee healing cream in the article is for use directly on the skin. I am allergic to pollen, but not honey. Would this be safe to use? Marissa, I would ask your doctor about this, as allergies can be dangerous and I’m not a medical professional. Is Amazon not available there? If not there may be other online stores that carry it. I would google it. Greetings! Very helpful advice in this particular post! It’s the little changes that will make the biggest changes. Thanks a lot for sharing!